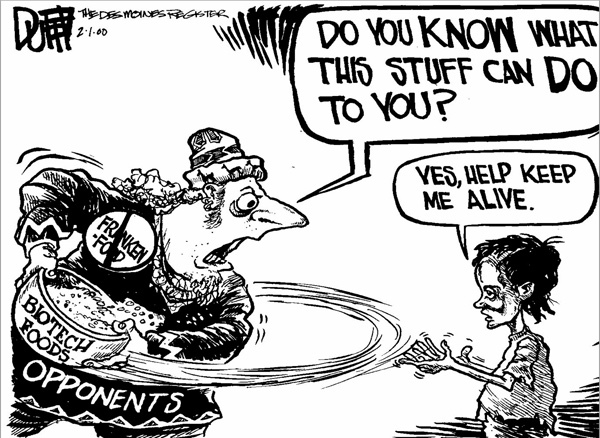 The Crime Against Humanity – Allow Golden Rice Now! (k) Other inhumane acts of a similar character intentionally causing great suffering, or serious injury to body or to mental or physical health." We believe that Greenpeace's actions during the past 14 years to prevent Golden Rice from being produced and reaching the millions of people who now suffer needlessly from vitamin A deficiency constitute a crime against humanity as defined by the Rome Statute. There is no doubt that Greenpeace and its allies are largely if not entirely responsible for the opposition to Golden Rice that has effectively blocked its cultivation and delivery to the millions of people who suffer from vitamin A deficiency. There is do doubt, given the results of clinical trials with animals, adult humans and children that Golden Rice is effective in delivering beta-carotene, the precursor to vitamin A, into human body at levels that will eliminate vitamin A deficiency. There is no doubt that the continued lack of access to Golden Rice is resulting in "great suffering, or serious injury to body or to mental and physical health" and that Greenpeace's actions are "intentional", that their campaign is "a widespread or systematic attack directed against any civilian population, with knowledge of the attack." We are calling on the countries that are Party to the Rome Protocol to investigate this situation with an eye to taking Greenpeace before the International Criminal Court to answer for their crime against humanity. There are several falsehoods used to create fear of Golden Rice. Here are some examples. 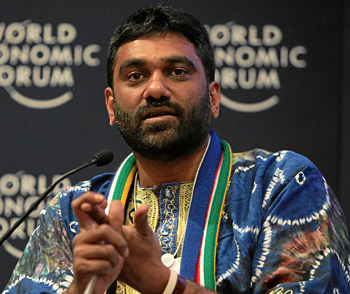 Kumi Naidoo, director of Greenpeaxce. The organization's scientific blindness has led to the actual blindness of 8 million people, mostly children. We believe Greenpeace's opposition to Golden Rice is a position held to justify its zero-tolerance approach to genetic modification in general. Greenpeace knows that if there is one good Geneticaly Modified (GM) variety, there will be others. The organization would then need to have a rational discussion about the merits of each variety. Instead, it prefers to stand on high in judgment, even though this condemns millions to needless suffering and death. Opposition to GM displays a more subtle political agenda. It is not so much the concern about the environment, or the health of the consumer, or helping for the poor and disadvantaged. It is a radical fight against a technology as a political platform. This could be tolerated in rich countries where people enjoy a high standard of living, even without the technology. It cannot, however, be tolerated in developing countries, where the technology can make the difference between life and death, between good health or severe illness. The anti-GM campaigners shamelessly claim the farmers are on their side because they are victims, by virtue of their innocence and gullibility, of the multinational companies' plant to enslave them with "toxic" seeds. It is always possible to find a few dissident farmers to support their cause, but there is no question the overwhelming majority of mainstream farmers support GM technology and the benefits it brings to them and their customers. The anti-GM forces are using farmers to gain sympathy from a largely urban support base that does not understand genetics and does not know what is going on out in the country. Greenpeace cites the "precautionary principle" to defend its zero-tolerance position on Golden Rice. Greenpeace says, "Golden Rice could breed with wild and weedy relatives to contaminate wild rice forever. If there were any problems the clock could not be turned back. "2 This implies that if a corn gene got into wild rice that would be worse than half a million blind children every year. What possible harm could rice plants cause with beta-carotene in them, a compound that occurs naturally in every green plant? All rice plants, including wild rice, already contain beta-carotene, but it is in their leaves, where it provides no nutritional benefits. Carotenes are not only essential for eyesight in all animals, they are also one of the most important anti-oxidants in our diet. When challenged, Greenpeace and other anti-GM organizations will not explain how beta-carotene or any other aspect of Golden Rice could have a negative impact on human health or the environment. There is no doubt that the anti-GM organizations have real fears, but in the case of Golden Rice, there is no way that fear alone, or 'unforeseen possible circumstances' can justify their actions to stop the testing and deployment of a crop that goes to the heart of malnutrition among millions of people. It cannot justify condeming as many as half a million children to blindness and death each year.